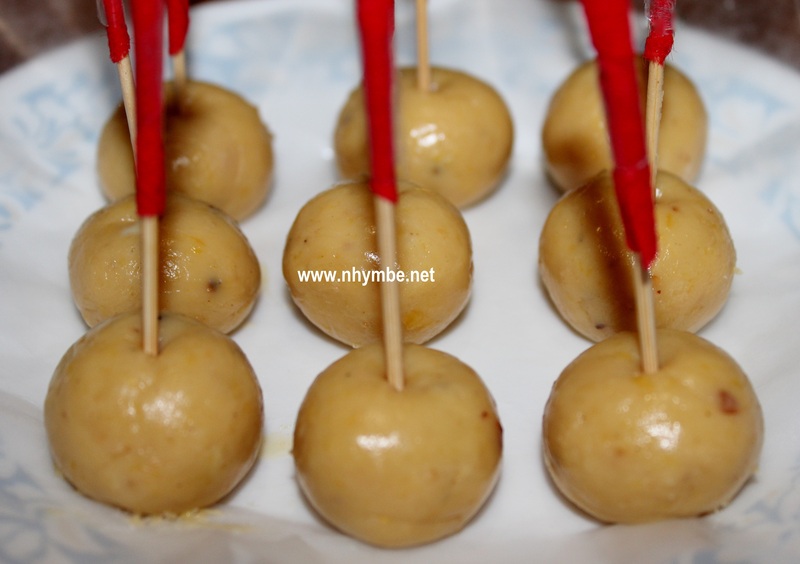 Yema can be presented or formed into small balls with a toothpick as a handle in order to pick them easily. Others wrap it in transparent, colorful wrapper. But whatever presentation of yema you prefer, what matters most is the taste. 🙂 As for me, in most cases, I prefer presenting it into balls because it’s easier to do that way and also, easier to eat without removing any wrapper. 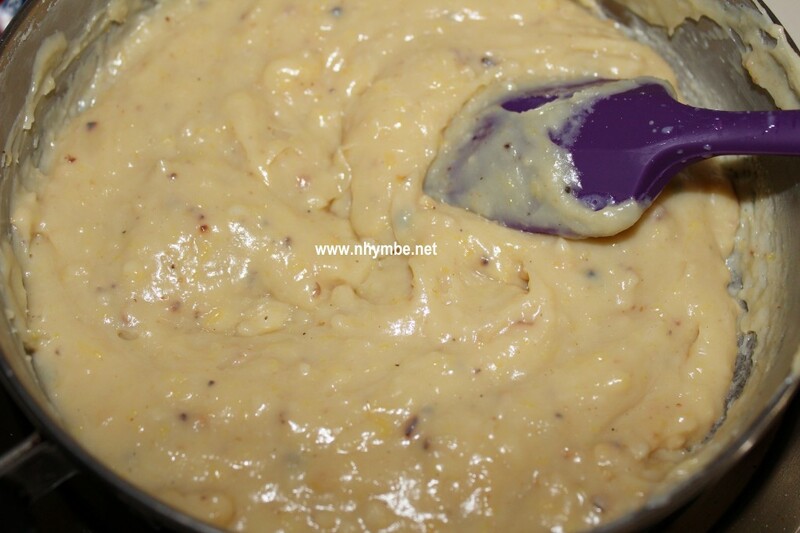 1) In a deep pan, under medium heat or fire, pour the condensed milk and egg yolks and mix thoroughly. Let it boil stirring continuously. 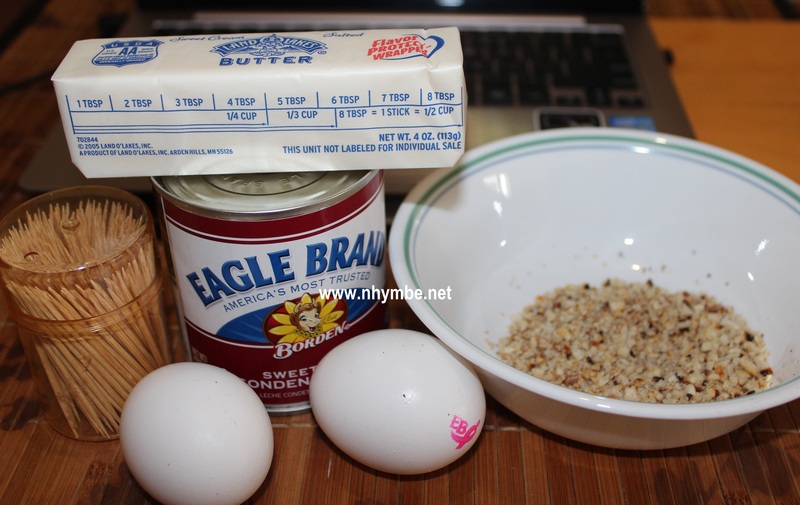 2) Add the butter and peanut and stir continuously in order to cook evenly and to achieve the desired stickiness. Do this for about 20-25 minutes until it becomes sticky (malapot). 3) Let it cool. Once the mixture becomes cool, you can start wrapping it, form into small pyramids or you can make it into small balls. Scoop 1 teaspoon for every ball or pyramid. 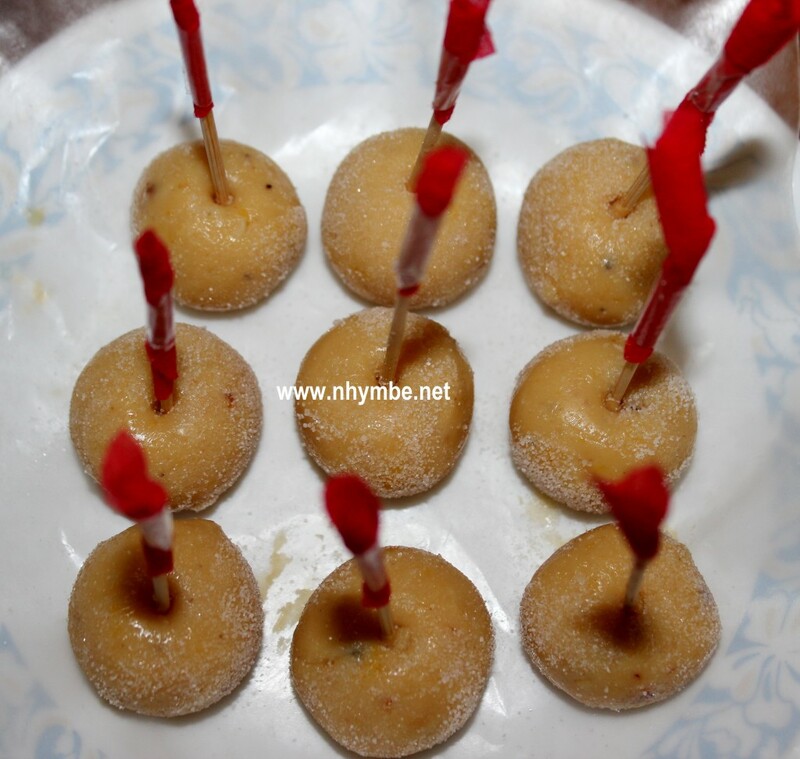 OPTIONAL: Roll the yema balls onto white sugar. 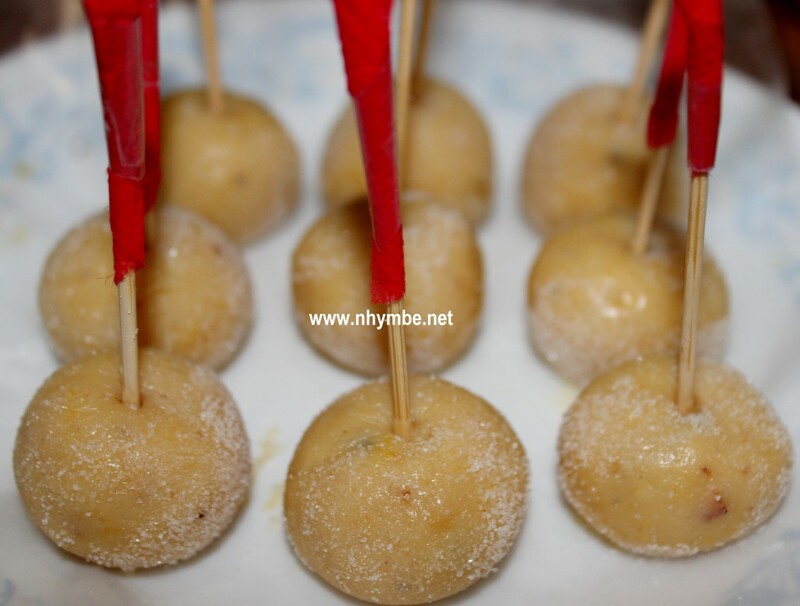 Put a toothpick for every formed yema ball. How many days does this expired. Cuz me and my classmates have an assignment to make ilocano food. And this is the easiest one. Thank u.
i try to make one, i hope i can make it. a great recipe to start a small business and soon become a big for a change of living. That’s true Regina, I remember my sister when she cannot find a job, she makes polvoron and yema and sell it to stores all over our small town and she’s earning enough. Now that she’s employed, she still makes yema and polvoron during her spare time for additional income. Ask ko lang po kung eto ba yung parang crunchy yung labas then gooey on the inside katulad nung nabibili sa 711? Hi Bryan! Are you referring to the “yema” na minsan triangular in shape at nababalot ng colored plastic? If it is, then yes! 🙂 but my version is quite softer and in a form of small balls. Salamat po sa post. I will try this at home. Thanks! Thank you for taking time to leave us a comment.